MetraWeather provides a portfolio of weather forecasting products and services to anticipate and meet the unique and changing needs of the marine industry. Weather provides more than its fair share of challenges for businesses operating in the marine environment. Whether you’re planning special operations such as construction or refits, or carrying out day to day activities in port or offshore, the ability to make weather-based decisions can make all the difference when it comes to the safety and efficiency of the task at hand. MetraWeather’s marine services provide customers with accurate and reliable information that allows them to resolve local oceanographic features and complexity to make them relevant and appropriate to their area of responsibility. … all of which can be accessed through our innovative web-based platforms, MetOceanView and MetConnect. And for when your project requires a bespoke oceanographic study, we give you access to specialised metocean consultancy from the MetOcean Solutions team. 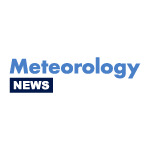 MetraWeather leverages the resources of our parent company MetService, the national weather service of New Zealand, to be a world leader across the full spectrum of weather forecast and data services – not only marine but also land-based weather forecasting solutions. Whatever your weather forecast and data requirements, MetraWeather will have a solution.